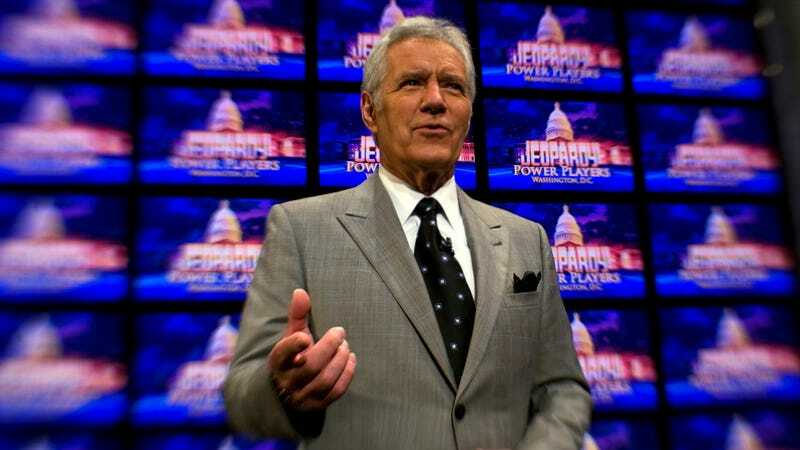 For a certain kind of mind, there’s no greater game show than Jeopardy!. (The exclamation point is important, damn it.) Fast-paced, intellectually daunting, and consistently dorky, the show has long been a staple in the lives of mental show-offs, delighting in their self-assigned “Coryat scores,” and getting extremely nervous any time Alex Trebek suggests he might take his lack-of-a-mustache and finally go home. Now, online Jeopardy! dorks have been granted a major boon: After years of living primarily in syndication, the series is finally coming to Hulu. To celebrate the move, the show has uploaded 60 classic episodes for fans to dip back into, mostly from its various tournaments (including the massive, million-dollar Battle Of The Decades battle royale the series held in 2014 to celebrate its 30th anniversary). Of course, part of the pleasure of Jeopardy! is in the ritual; the regular daily appointment with your own brain, and the collection of random facts, vocabulary words, and occasional puns that so many of us try to pass off as “intelligence.” (Also, there’s the worry that a sufficient overdose of awkward, terrible contestant interviews is likely to fry your skull.) Still, there’s a real thrill to the idea of having a big ol’ Jeopardy! tap functionally installed in our houses, especially for those of us whose schedules have forced us to get the show entirely through DVR or, barring that, the hard work of the blessed maniacs who operate J!Archive (an online text repository of pretty much every question ever asked in every episode of the game that will definitely eat up an entire afternoon if you’re not careful).